Alfred Hitchcock‘s The Lady Vanishes (1938) is more “just” a mystery or thriller, in our opinion. The film centres on a train journey from a fictional European country to England. We first meet the train’s passengers while they are stranded in an alpine town due to an avalanche. This town shows little evidence of winter, let alone a close proximity to an avalanche zone, but never mind. We’re here to observe the passengers because, as we all know, not everyone in a Hitchcock film is who they Appear To Be. The passengers are mostly British – holidayers and business folk – returning to the U.K. from various parts of Europe. One passenger is a young woman (Margaret Lockwood) who is reluctantly terminating her continental adventures to go home and Get Married. However, she meets another passenger – a handsome, unconventional young writer (Michael Redgrave) who is researching European folk dances. The two clash: She thinks he’s careless; he finds her inflexible. This, of course, is moviespeak for Love At First Sight. One of the more surprising passengers is Dame May Whitty, a kindly and aging governess who befriends Lockwood, asks her to tea on the train, then disappears. She disappears from a moving train. Lockwood reports Whitty’s disappearance and discovers none of the other passengers will admit to having seen the governess. “There has been no English lady here,” insists one woman. A prominent European brain specialist (Paul Lukas) suggests Lockwood suffers from hallucinations caused by a minor head injury before she boarded the train. Lockwood herself starts to wonder if she’s Losing Her Marbles. Fortunately, Redgrave decides to humour Lockwood by making inquiries on her behalf. But he soon realizes Lockwood isn’t Confused, and he tries to help her figure out how – and why – Whitty vanished. A train is always superb environment for a mystery. Characters are confined to a small space, and there’s No Escape until the train stops. However, in The Lady Vanishes, Lockwood and Redgrave face pressures from inside – and outside – the train. First, let’s examine the country in which the train has been stalled by the avalanche. We can assume, by the dress and accents of the locals, the country is Germany, possibly Bavaria. As it turns out, the train never does cross the border of this country. Next let’s look at the passengers. The British travellers are, by and large, self-absorbed, oblivious to circumstances around them. It’s not until Whitty disappears that Lockwood realizes things are Not As They Seem. There are German and Italian passengers, as well and, without saying so outright, Hitchcock shows us there’s something faintly sinister about them. They appear cordial, but after Whitty’s disappearance, they insist she was never on the train. This makes Lockwood, and we the audience, Very Uneasy. Soon Lockwood and Redgrave discover the truth, but – as is often the case – it only makes the Situation worse. When the train makes an unscheduled stop, local authorities are waiting and they Mean Business. 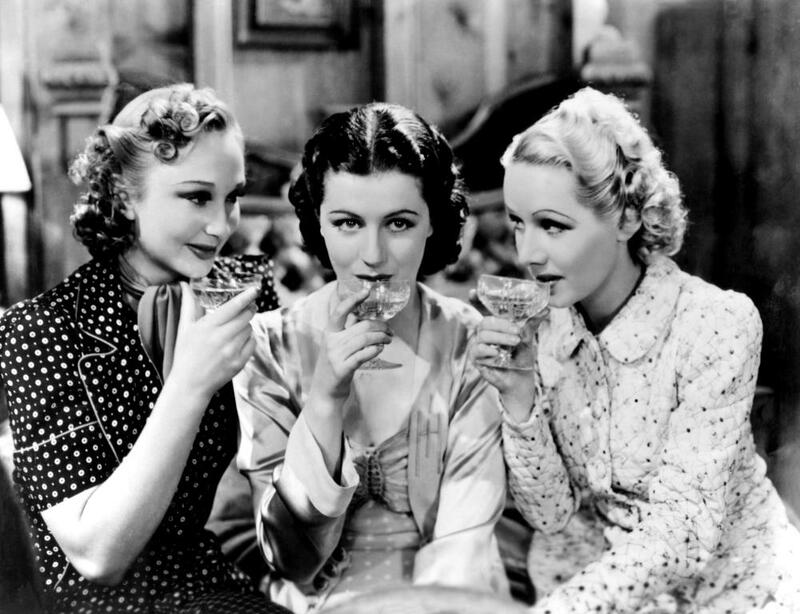 The Lady Vanishes was released in 1938, little more than a year before the declaration of WWII. With that in mind, it almost feels like a letter to a country on the eve of war. When you compare it to the history of WWII, it strikes us as a bit chilling. The film is loosely based on a novel by British novelist Ethel Lina White, and it was the second-last film Hitchcock made in Great Britain before he left for the United States. He would release Jamaica Inn in 1939 before going to Hollywood to make some of his best-known films. The Lady Vanishes is kind of a mess in places. There are some awfully convenient plot developments, and the Bad Guy is revealed too soon. But it’s a fascinating postcard from the past, with interesting characters, clever lines and menacing undertones. Plus, Whitty’s disappearance is truly a mystery, and it leads to one of the biggest surprises in the film. But we won’t say anything more; you’ll want to discover it for yourself. 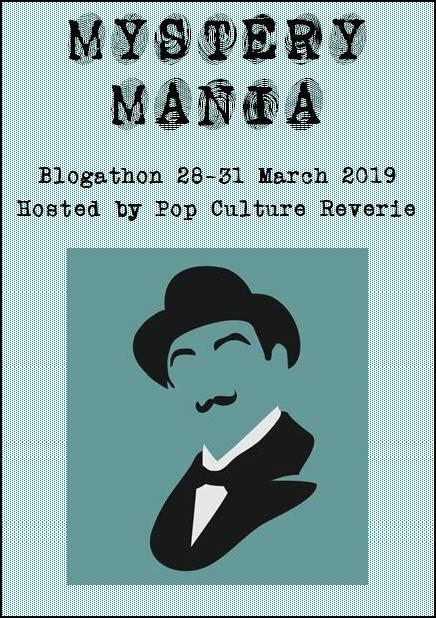 This post is part of the MYSTERY MANIA BLOGATHON hosted by Pop Culture Reverie. 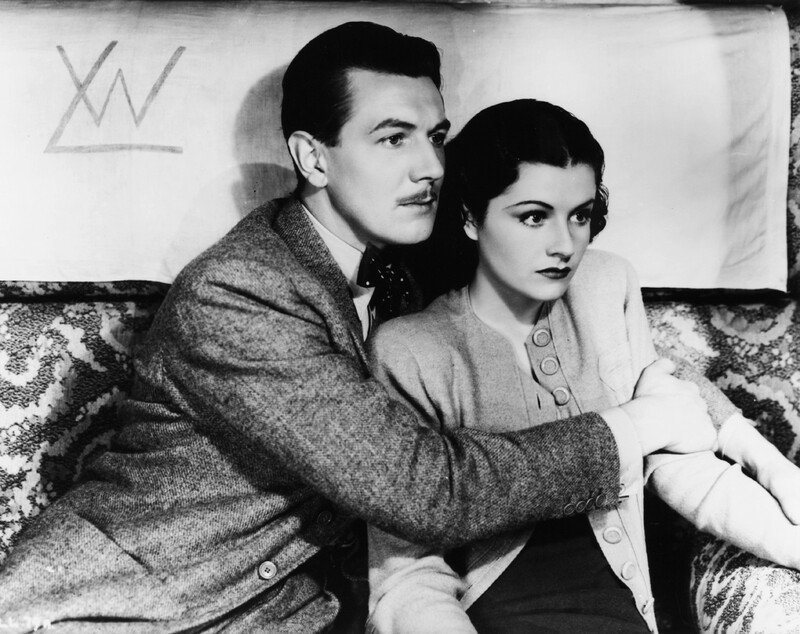 The Lady Vanishes: starring Margaret Lockwood, Michael Redgrave, Paul Lukas. Directed by Alfred Hitchcock. Written by Sidney Gilliat and Frank Launder. Gaumont-British Picture Corp., 1938, B&W, 96 mins. I love Dame Whitty too…in everything. She’s one of my all-time faves. Isn’t this the one with the cricket lovers? Yes it was nice but it did have its faults. I preferred The 39 Steps. I agree. The 39 Steps is a better film, in my opinion. The romantic dynamic was far stronger and a tighter story with a more dramatic ending. And if we’re talking funny minor characters I like the ones in Shadow of a Doubt. I love Hume Cronyn in that film. Every article on The Lady Vanishes attract my eyes. I LOVE this film!! (top 5) Thanks for the great review! One of my favourites, in spite of its faults, alongside The 39 Steps. Thank you! I now understand why Charters and Caldicott became an institution. I loved them in this film. I’ve enjoyed both the book and the movie. Your review is equally entertaining. Thanks for writing this! I need to read the book. Some pretty good reviews on Goodreads. Me too! My husband doesn’t even mind when I critique the movie while we’re watching it. He’s a gem. I took a class on Hitchcock in college, and this is one of the few movies we DID NOT watch! 😦 Which is a shame, because it sounds really good! What?! This film wasn’t covered in your class? You should ask for a refund. 😉 Just kidding – I hope you get the chance to see it. I’d love to compare notes with you. It is easy to see why this was such a hit for Hitchcock. I have been continually entertained by its atmosphere, characters and, humour for decades. It is the sort of movie I think I know inside-out, yet your eyes gave me fresh things to consider. Haha! That is a great line. I adore Miss Froy, and I wonder if part of that is my admiration for Dame Whitty’s charisma. She and Hitchcock never made another film together, did they? I agree that it’s “a bit of mess” and overrated when compared to Hitchcock’s other British films of that period (e.g., THE 39 STEPS, YOUNG AND INNOCENT). Still, it’s a modestly entertaining picture with a good cast. Agreed. 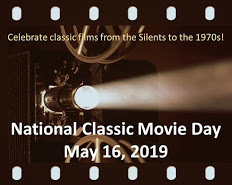 It does have a good cast and a lot of entertainment value. I have not seen this one. Great review! Thanks! This movie is definitely Hitchcockian. If you didn’t know he directed it, you would still be able to tell. I did a whole course on Hitchcock in university and although I never liked the man, I love his films, this one included. Can you believe my favourite is The Trouble With Harry? I really like The Trouble With Harry, too. It’s quirky and smart, and I like it doesn’t have some of the darker themes of other Hitchcock films (I’m looking at you, Vertigo). Plus, Shirley MacLaine! Thanks for participating. 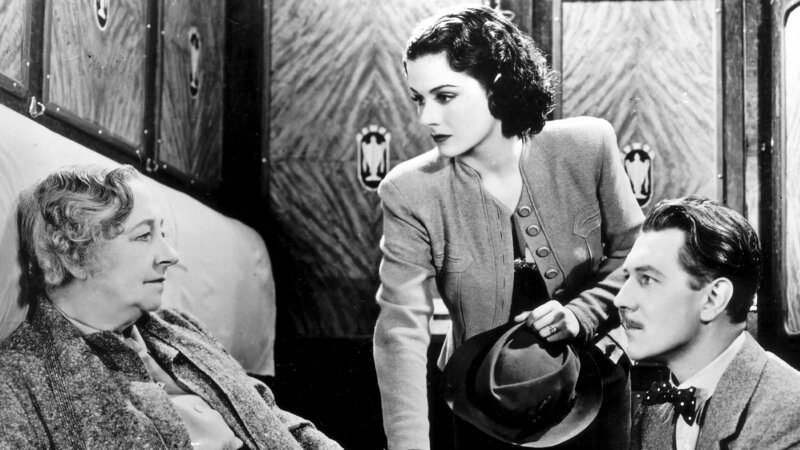 I enjoyed The Lady Vanishes the first time I saw it. I even put it in my top ten list for 1938. Revisiting it recently, however, I was disappointed. I found the time spent before boarding the train to be tedious. I like how you connect the film to the European political situation at the time. Thanks! I felt the film was a little slow to get started, as you had mentioned, but things started to liven up once poor Margaret Lockwood was clunked on the head. I keep meaning to look for Alfred Hitchcock’s cameo at the train station, but always forget. I see The Lady Vanishes as a thriller-comedy. I agree it’s slow at first, you could just begin watching when they are on the station platform, as hardly anything important happens in the opening 30 minutes. Good point – a person could start watching the film fro. The trai station platform scene.